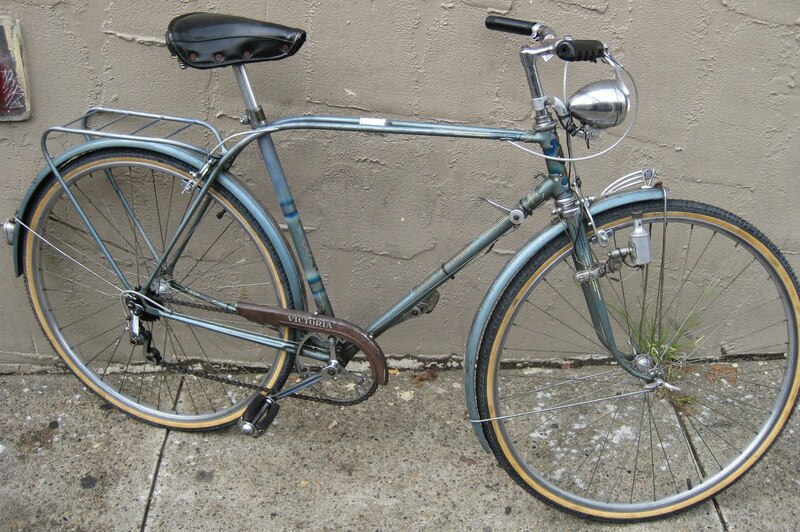 This 1950s Victoria was recently sold at the shop. 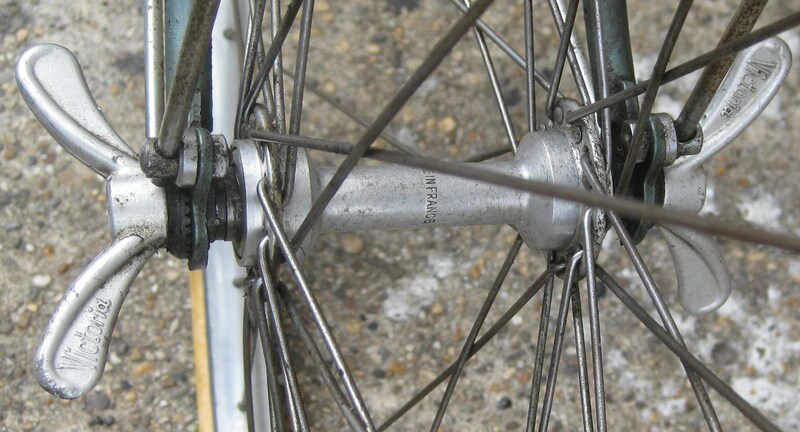 It is has some nice little features for a city bicycle(utilitarian bicycle). 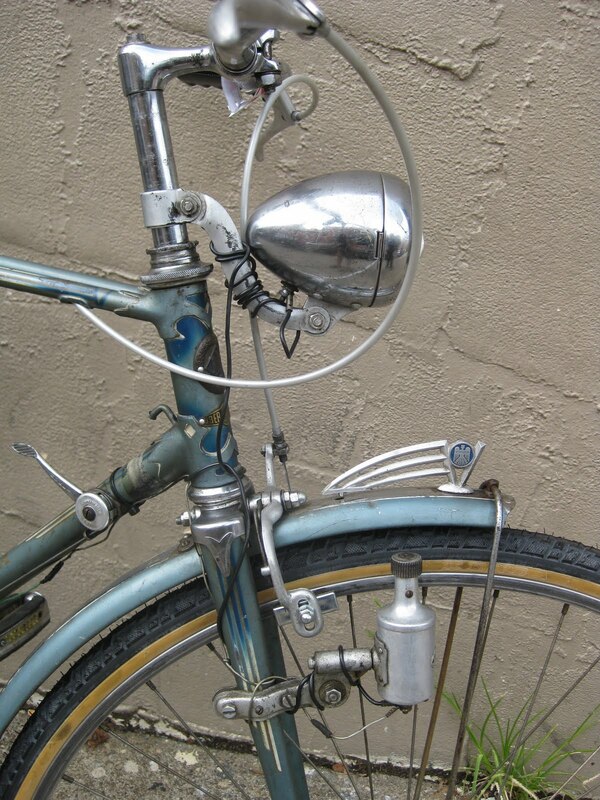 The bicycle is outfitted with full fenders, generator with front and rear lights, rear rack, and upright handlebars. It has a very cool fender ornament too. 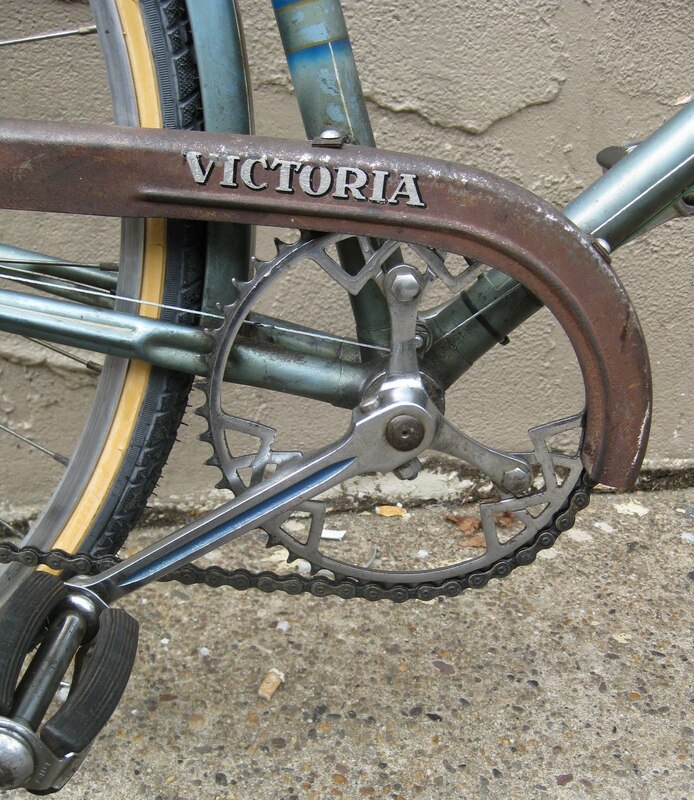 Check out the crankset, it is similar to the Chater Lea cranks, 3 pin with removable chainring and hidden bolt spider. 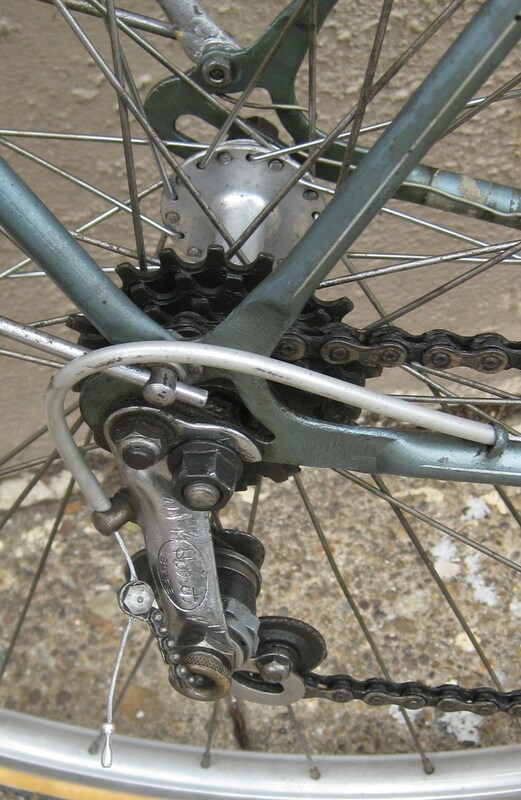 The bicycle is a 4 speed, with a Huret gear system. The Victoria was made in Nuremberg Germany.